As soon as anything trendy appears in the United States, you will quickly see it being adapted to American standards. This is the case for most gadgets, most cars, furniture, and of course games. Sometimes the American versions are nicer looking, more powerful and of better quality than their international counterparts, but when it comes to roulette, this is simply not the case. Roulette originated, as you probably know, in French aristocratic circles. After becoming extremely popular in Europe, the casino game found its way across the Atlantic and was soon to be found in American casinos and gambling halls. Here, it went through a small fine-tuning which simply destroyed the game for most players. Take our advise – never bet your money on American roulette. There is a simple, yet barely noticeable reason for this. 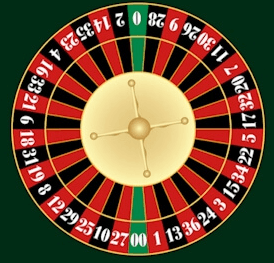 The American roulette wheel has two zeros. Yes, here you will find both a “0” and a “00”, a so-called double zero on the roulette wheel. An easy thing to overlook, but oh boy, it will really change the game for you. See, this double zero changes the odds completely, and doubles the house edge. Which means, simply put, that the casino is making twice the money off you. Your chances are lowered, and the greedy casino cashes in more of your hard-earned funds. Mostly, you will find American roulette in Las Vegas, the worlds most famous gambling town. 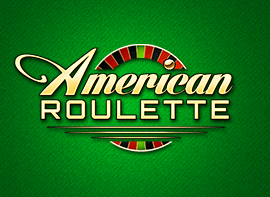 Along with Atlantic City on the eastern shores of the United States, this is the only place you will find American roulette. As well as some online casinos, of course. There is, however, no need to force yourself into playing this version of the famous casino game, as there is always a European roulette table available as well. So, there you have it – it is up to you what you prefer.